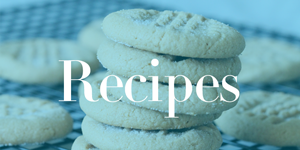 Home / Savings Blog Posts / Recipes / Easy Dessert Recipes / Easy Turkey Cupcakes Recipe! Here is an Easy Turkey Cupcakes Recipe for Thanksgiving! This fun Thanksgiving Dessert Recipe for Kids is perfect for Fall Parties, Class Parties, or Gifts! Here is a fun and Easy Turkey Cupcakes Recipe for Thanksgiving! Make this Easy Turkey Cupcakes Recipe for a special Thanksgiving Dessert Recipe for Kids! These can add a lot of character to your Thanksgiving Dinner, and Adults and Kids will fall in love with these fun treats! These could also be a fun Thanksgiving Treat to take to a class party at school or to have at a fall party with your family and friends! Plus, be sure to check out even more Thanksgiving Recipes and Dessert Recipes! Whisk or sift together cocoa powder and powdered sugar. Slowly add in the powdered sugar cocoa powder mixture, and milk as needed, until everything is incorporated and frosting is right consistency. Ice cupcakes then sprinkle or dip tops in chocolate sprinkles. Insert 5-7 candy corns along the back edge of each to make tail feathers. Pipe more icing from the fron edge to the middle of each to make turkey neck and face. Push 1 candy corn into head to make beak. Place 2 eyes above beak. Place red melting chips into corner of zippered sandwich bag. Microwave for 45 seconds and knead to insure that they are melted and smooth. Clip corner and pipe a waddle on the beak and down the neck of each turkey. Pick up these Wilton Red Candy Melts at Amazon! Grab these now for all of your Holiday Baking this year! Receive Free Shipping with Amazon Prime, or Free Super Saver Shipping on orders of $35 or more! You can also check out this Fall Trail Mix Recipe with Candy Corn and Popcorn! This is a great snack recipe for fall parties and class parties! Try this and even more Thanksgiving Recipes, Crafts and more!